The club has setup 2 Flickr groups to allow members to post their images to share and comment on. The first group is for posting your best 4 or 5 images from our outings. The second group is for posting your images for critique or just because you want to show off a new image. There is no way to automatically transfer the users from one group to the other so contact Brian Kilpatrick or Lynne Kelman with your Flickr Id and real name to be added to the groups. They are closed groups for registration and are restricted to club members for adding images. The images can be seen by the public. At the moment the two cover thumbnail images look like the photo below. Flickr is a site setup and maintained in association with Yahoo. You can register for a free Yahoo account or use your Google or Facebook Id to setup a free Flickr account. You can upload your images to your account and set restrictions on who can see them etc. A free Flickr account allows you to upload 2 videos and 300 meg of photos per month with a max of 15 meg per image. Your photostream is limited to the 200 most recent images and the larger sizes are not available. They are saved when you upload in case you upgrade to a pro account. The Pro Account is $24.95 US per year and allows unlimited upload of photos, 20 meg per image, unlimited upload of video, 90 sec max, 150 meg per video, ability to show HDvideo, Unlimited storage, Unlimited bandwidth and many other features. Either account will let you participate in the club group. The group is invitation only but is public so other people can look at the images. 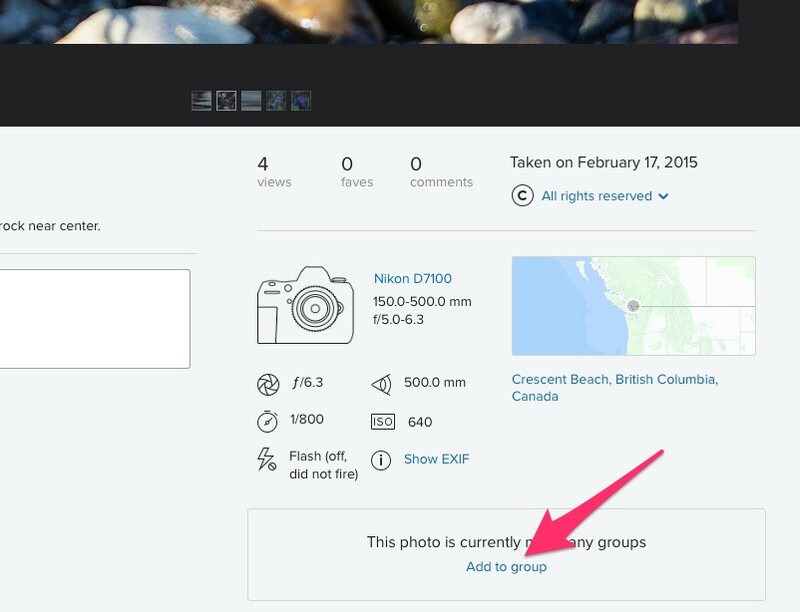 To get started: Setup or access your Flickr account. Post some images to your Flickr account that you wish to share with the group. Go to http://www.flickr.com/groups/cbpc/ Click on the link “Join This Group” Login and send a message to the group ( Have not tested this part) or Email Brian Kilpatrick or Lynne Kelman and they will send you an invite. Be sure to include your real name somewhere in the message as the Flickr account names are sometimes a bit cryptic and we might not know who you are. Once you are a member of the group you just go to the image in your photostream and click to open it. (you have to be logged in to your account). Just below the image you will see the infomation about your image. 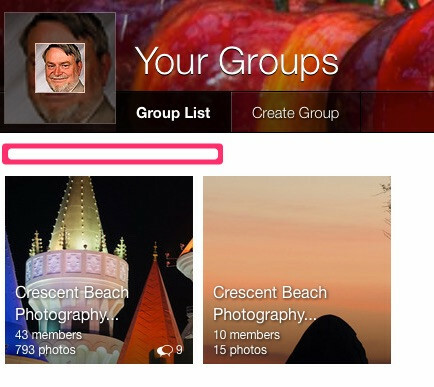 You will see a box that says “This photo is currently not in any groups” and below that text should be “Add to group” Click on that text and you should see any of the groups you belong to and can choose the Crescent beach Photography Club from the list. The image will then show up in the group and people in the club can then comment on it etc. See images below for example of what to look for. You can post an image to more than one group if you want. For example you posted your outing photos from our Temple outing and have added your 5 favourites to the outing group. You then decide that you want some critique or help with one of them, just add that one to the critique group. 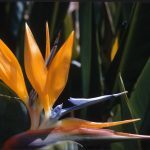 A suggestion if you want help with an image is to post it to the critique group and then comment on it yourself with the question or problem you are having with the image. See image for example. Flickr has the ability to let you map your images to a specific spot on the earth if you wish and it can then use that information and the Exif Data from within your image to tell visitors more about the image. All of this information can be restricted if you wish so that no one except yourself can see it. An example is an image I posted to my photo stream at http://www.flickr.com/photos/bkilp232/5443822564/in/photostream/#/ Flickr extracts the date of the image and the camera used from the Exif data and then uses the map information that I added by placing the image on a map to generate a description of the image. This photo was taken on February 20, 2010 West End, Vancouver, BC, CA, using a Pentax K-x. Is what it generated from the photo in the link above. We hope you will find the Flickr group a useful addition to the club and encourage all clubmembers to participate. We will revise this page with more information as we test out features of Flickr.